AVANI Hotels & Resorts is proud to announce the launch of its first hotel in the historic town of Luang Prabang, a UNESCO World Heritage Site in northern Laos. The 53-room hotel is located on a narrow peninsula at the joining of the Nam Khan and Mekong Rivers. Currently known as the Azerai Hotel, the rebrand will be completed in March 2018. The French neo-classical architectural design resembles the style of the grand villas found in Luang Prabang. The guest rooms offer an open plan living experience with French-styled louvered wooden doors that open out to a balcony overlooking either the pool or a private courtyard. The interior design draws inspiration from its colonial French heritage, yet the design approach is modern, functional and elegant. The Bistro serves breakfast, lunch and dinner, indoors or outdoors. The menu favours classic Bistro and Lao dishes and the upstairs bar with its street-side veranda offers the ideal perch from which to observe the daily rhythms of Luang Prabang local life. The AVANISPA offers two single and two double treatment rooms with a communal relaxation area. AVANISPA adopts a straightforward yet individual approach to wellness. Problematic body zones will be assessed and a treatment recommended, chosen from one of four results-driven options; Boost, Balance, Calm and Purify. AVANIFit focuses on lifestyle elements that promote a healthy body and healthy mind and the hotel’s Gym will offer a range of cardiovascular and strength equipment. Daily Yoga classes will also be offered and there is a 25m swimming pool and pool bar serving smoothies, fresh juices and shared-platters. An outdoor, covered sixty square metre Pavilion provides a multi-use space, ideal for small wedding ceremonies, social events and casual meetings. The hotel is situated on the doorstep of the famous night market where guests will find locally made appliqué blankets, Hmong batik fabrics, lamps, wall hangings, silver jewellery and unusual paper. 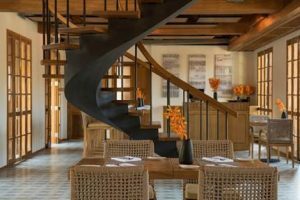 The Hotel will offer a variety of excursions including a selection of daily and overnight Mekong River cruises and a guided hike up Mount Phousi. Other excursions will include trips to waterfalls, biking, antique shopping, cooking classes and visits to the many different Buddhist temples. “Luang Prabang has long been a bucket-listed destination for travellers throughout South East Asia with its ancient temples, beautiful French UNESCO listed architecture and stunning riverside scenery,” said VP Operations, AVANI Group Hotel Operations, Alejandro Bernabe. 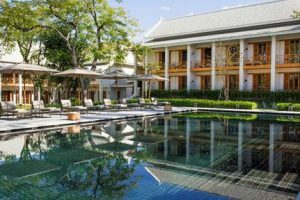 “Plus with the recently launch Mekong Kingdom Cruises, that offer day trips or overnight cruises to the resort from Thailand, the new hotel is a welcome addition to the AVANI brand. Mr. Andrew Jannson has been appointed as the new General Manager of the property, joining from Anantara Riverside Bangkok Resort where he held the position of Hotel Manager. Launched in 2011, AVANI is a true lifestyle brand, imaginatively blending genuine hospitality and technology with savvy design and contemporary style. The AVANI experience is designed to satisfy important guest needs. 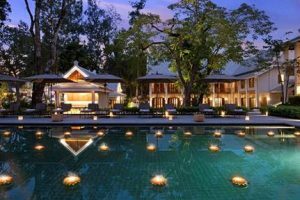 When the AVANI Luang Prabang launches in March this year, it will be the ninth AVANI property in Southeast Asia, joining the growing portfolio in the region which already includes five properties in Thailand, two in Vietnam and one in Malaysia. 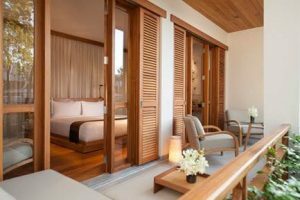 AVANI Hotels & Resorts currently operates 21 properties in Asia Pacific, the Middle East, Africa and Europe, most recently debuting in both Australia and New Zealand. The brand has a strong pipeline of new properties under development including in new destinations such as South Korea, the Maldives, Mauritius, Tunisia and Oman.